Maureen Coughlin returns as the heroine of the newest Bill Loehfelm novel, The Devil in Her Way. Maureen made her first appearance in Mr. Loehfelm’s last novel, The Devil She Knows, as a late twenties bartender on Staten Island. She was tired, older than her age, with no plans to move forward. When she saw something she shouldn't have, she became embroiled in a power struggle amongst powerful people. She learned the hard way that she could only count on herself. At the end of The Devil She Knows, Maureen had a new outlook on life, made some new and healthy friends, decided to take control of her life. She had been selected to be in the next class of the New York City Police Academy. It was empowering, and ended with an optimistically for our heroine. The Devil in Her Way! The Devil in Her Way finds Maureen as a rookie police officer, five weeks out of the academy, in New Orleans. Like most rookies, she is excited, eager, chomping at the bit; in this case the bit being her field training officer, Preacher Boyd, a street wise veteran who knew how to get things done. When Maureen and Preacher get in the way of an up and coming gang leader trying to reclaim Josephine Street, the J-Street Family, people start dying. And Maureen sees a bit of her future, good and bad, with the NOPD. Before I even started the book, I was worried about explaining the change of location from New York to New Orleans. But Mr. Loehfelm handled it simply and believably: Maureen’s class at the NYPD Academy had been postponed…twice. She knew the New Orleans Police had been caught in some post-Katrina scandal, and wanted to be where she was needed, where she could make a difference, where she could start a new life. She was off to NOLA. 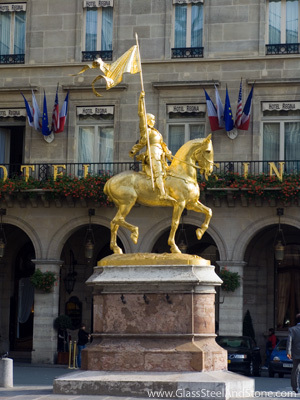 Joan manned her post at the front of the cavalry charge while holding high a weapon, a bannered lance. Maureen loved the warrior part of the story. The young martyr part she tried not to think about. Dealing with tourists would be too much like waiting tables again. She wanted to be done with supposed grown-ups who refused to listen, refused to follow, to even read directions and simple instructions—people who refused to fend for themselves while in public. Another pleasant surprise from the story is how well Mr. Loehfelm was able to write Marueen as a rookie policeman. She was everything a rookie police officer should be, and everything that annoys the more seasoned officers. 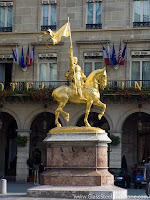 Eager, headstrong, overconfident, bold; but also green, in a hurry, putting her own goals before what is most important. In addition to the great character development and story, a love of New Orleans is apparent. Without ignoring the obvious and complex problems in New Orleans, Mr. Loehfelm's New Orleans a desirable place to visit. The food, unique and historic neighborhoods, culture, and pride all outshine the crime, post-Katrina chaos, corruption, destruction, and hopelessness that are there, too. Mr. Leohfelm does the city just as much justice as the wonderfully descriptive James Lee Burke. If The Devil She Knows was about breaking away from life’s circumstances that held Maureen back, then The Devil in Her Way is about Maureen plowing through life’s new challenges without looking back, despite sometimes still being haunted by the devils of her past. I enjoyed it, and look forward to more of Maureen Coughlin. Loehfelm, Bill, The Devil She Knows. Sarah Crighton Books, 2013. 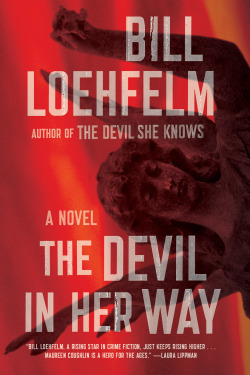 WIN The Devil in Her Way by Bill Loehfelm! Just because I haven't been posting often doesn't mean I'm not reading! 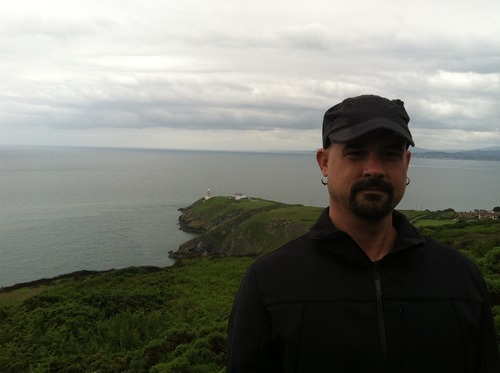 And I'm currently getting ready to post a review for a novel being released on May 1, 2013. The book is The Devil in Her Way by Bill Loehfelm. 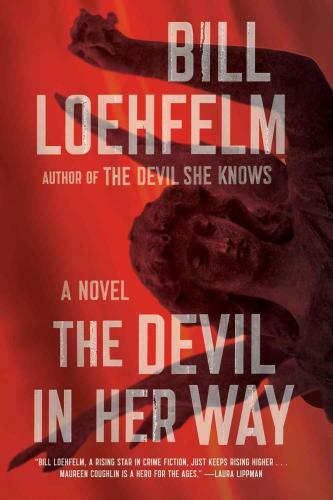 This is the second book by Mr. Loehfelm that features Maureen Coughlin, preceded by The Devil She Knows, which I reviewed last December. Without giving too much away before I publish a review later this week, I'll tell you only that Maureen is has moved to New Orleans and become a police officer there. If you would like to enter to win a copy of The Devil in Her Way, click the link and complete the form. A winner will be selected Saturday, April 27, 2013 and notified via email. The book will be mailed the same day.